Beta provided "a mere sampling". 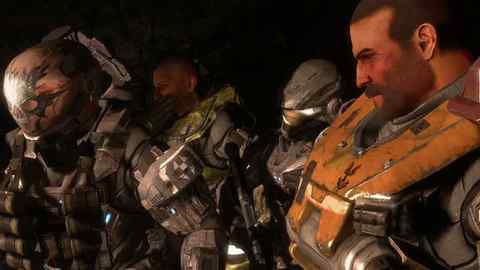 Halo: Reach features over 40 custom assassinations, Bungie's revealed. Reach is the first Halo game to include custom assassinations. When triggered, the camera pulls back out of first-person perspective into a more cinematic third-person view. Those who played the recent Reach beta only saw "a mere sampling" of the total number of custom assassinations, Bungie's community manager Eric Osborne wrote in the latest Bungie Weekly Update. "According to animation producer Matt Richenburg, all told there are over forty custom assassinations packed into the shipping product, most multiplayer, some specific to campaign," he wrote. The assassinations are context sensitive, so are based upon your position and that of your opponent. Some even depend on whether or not you have a plasma sword in your stabbing hand. Johnny Minkley went hands-on with the multiplayer and saw some campaign. Halo: Reach will be released for the Xbox 360 on 14th September.